Phillip is experienced in the areas of law, taxation, finance, commerce, corporate governance, risk, strategy, higher education, vocational education and training and management. He is on the Audit Finance & Risk Committee of the Board. 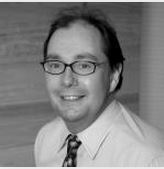 Phillip is Chief Executive Officer and General Counsel of Advanced Paediatric Life Support. Phillip has vast experience on state government boards including the Queen Elizabeth Centre, the Board of Examiners for the legal profession in Victoria since 2008, and Board of Trustees for the Southern Metropolitan Cemeteries Trust. He has recently been appointed to the Disciplinary Appeals Board. He is also a member of various subcommittees of these Boards, including Audit and Risk, Finance and Infrastructure and Planning. Phillip is a Director of a number of not-for-profit Boards, including the MBAV Scholarship Fund, and is Company Secretary of East Kew Financial Service Ltd which manages Kew East and Kew Bendigo Bank community branches. He was a committee member of a number of Board committees at Melbourne University including the Remuneration Committee for academic staff.